The Red Ridged Acrylic Trophy is the perfect way to acknowledge hard work and dedication. Available in three sizes, this stunning acrylic award features bright red edges with a clear center. The ridges edges lend movement to the award when light hits it. The clear center features your personalized engraving, which is etched in frosted white. 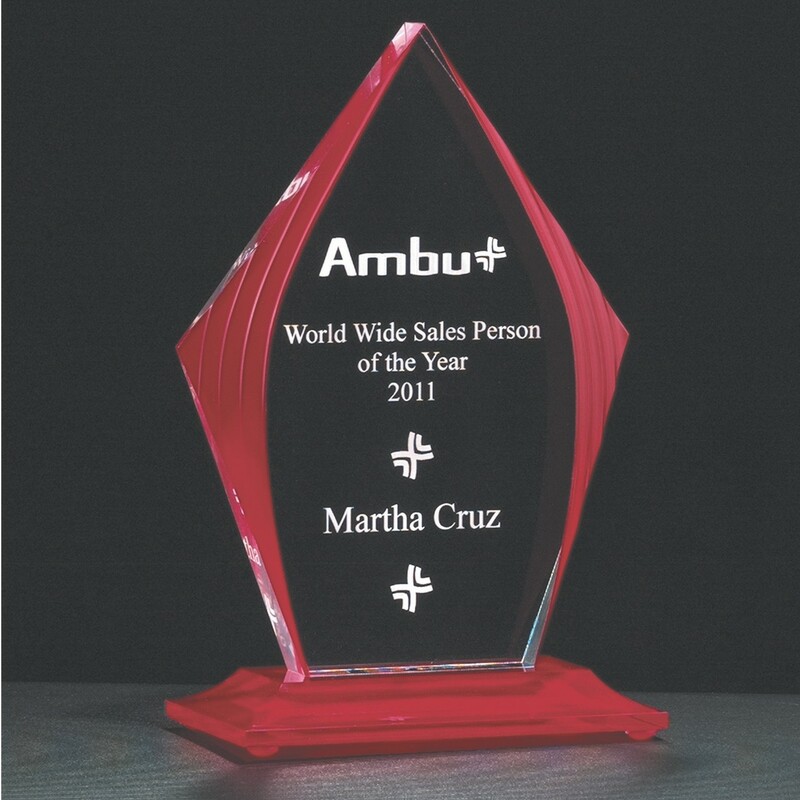 The price includes up to 8 lines of engraving, including your organization's logo.